Buying a home isn’t always about finding the perfect place to raise a family or host those summer barbecues — for some first-time buyers, owning real estate is the gateway into the realm of landlordship. Becoming a small-scale landlord can look easy, but there’s more to it than collecting the rental cheques every month. Whether you lease out an individual property or have a self-contained rental unit in your home, such as a basement apartment, buying to become a landlord requires you to be a hands-on business owner. Want to buy your first home? With television shows like HGTV’s Income Property showcasing the benefits of owning a rental property, like easy income and a boost in property value, renting out your basement looks appealing. Yet, without proper preparation or knowledge of provincial landlord and tenancy laws, the landlord dream can quickly go sour. 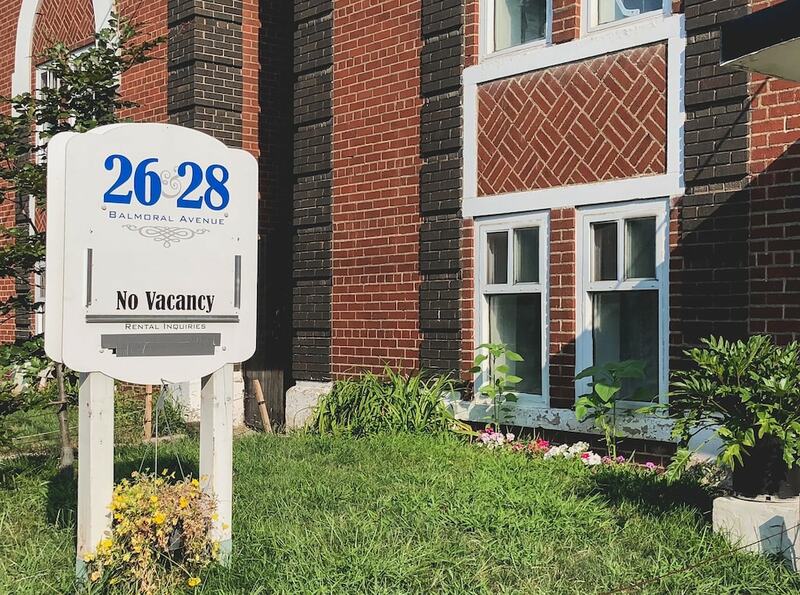 “If people have a bad experience in the first year [of landlording], and the first tenancy is problem-ridden, nine times out of 10 I would think they would get out of the business,” says Susan Wankiewicz, executive director of the Landlord’s Self-Help Centre, a non-profit legal clinic for Ontario’s small landlords. If you do your homework and plan accordingly, becoming a small landlord can be rewarding. As Naji and Wankiewicz tell it, here’s what you can expect if you’re working towards that first investment property. Landlording isn’t a passive investment — it requires maintenance, time and experience to nurture into a successful money-maker. As with any business, being present and aware of your investment’s unique needs will start you on the path to being a successful landlord. Naji, who has been investing in real estate since 2006, says a new landlord can expect the operation stage of landlording — running the property — to be the longest and most cumbersome. 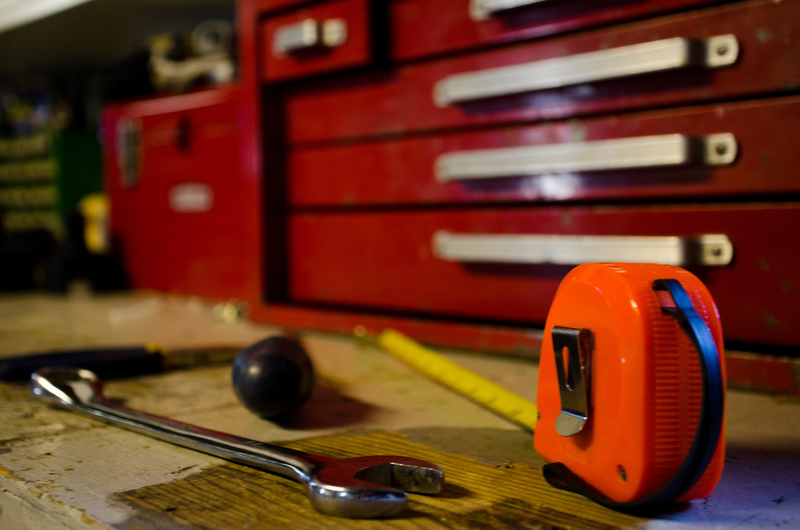 Semi-annual inspections, repairs, collecting rent and regular maintenance are the landlord’s responsibility. You could hire a property management company to take care of this for you for a percentage of your rental earnings, but Naji advises not to within the first year of a new investment property. Naji also recommends building a team of professionals that specialize in residential investments. Your accountant, repair person or real estate agent, he says, should have knowledge of landlording in order to fully understand your needs. Legal jargon may be a dry read, but understanding tenancy laws in-depth before you become a landlord could save you a whole lot of trouble down the road. Wankiewicz has seen every kind of problem come through the LSHC office: tenants that default on rent; pets that suddenly appear unannounced; damage to the property; and tenants that decided to move their whole extended family into the unit. 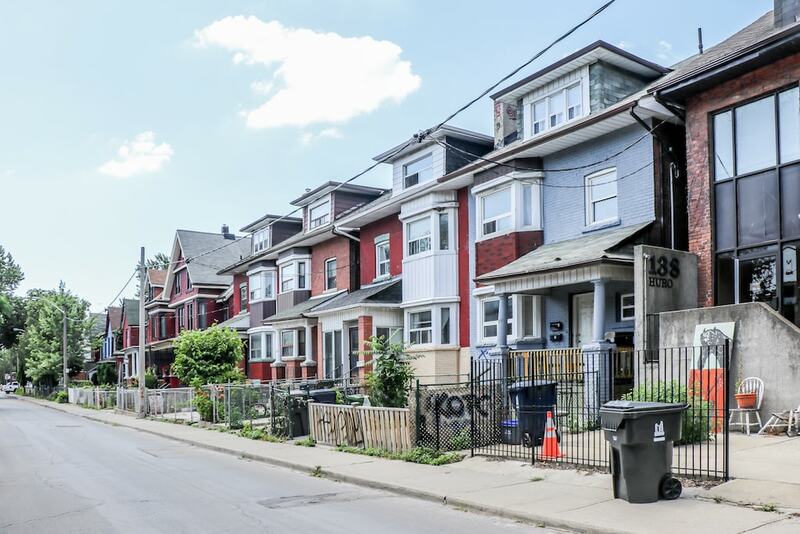 Whatever the issue may be, Wankiewicz explains that landlords who familiarize themselves with the provincial landlord and tenancy laws beforehand have a better understanding of what their rights are. For instance, she still encounters landlords who haven’t fully read Ontario’s Residential Tenancies Actand don’t understand that the law equally applies to both high-rise and second suite rentals. “Landlords are surprised because they think that [because] they’re renting in their home and they’re the king of the castle. That’s not the case. They’re subject to the same legislation as if it were a high rise rental,” she says. If a tenancy isn’t working out and an eviction is required, Wankiewicz warns that the process isn’t a quick fix. If a tenant stops paying rent, a landlord will need to give a termination notice and apply for a court hearing to the Landlord and Tenant Board as soon as possible. 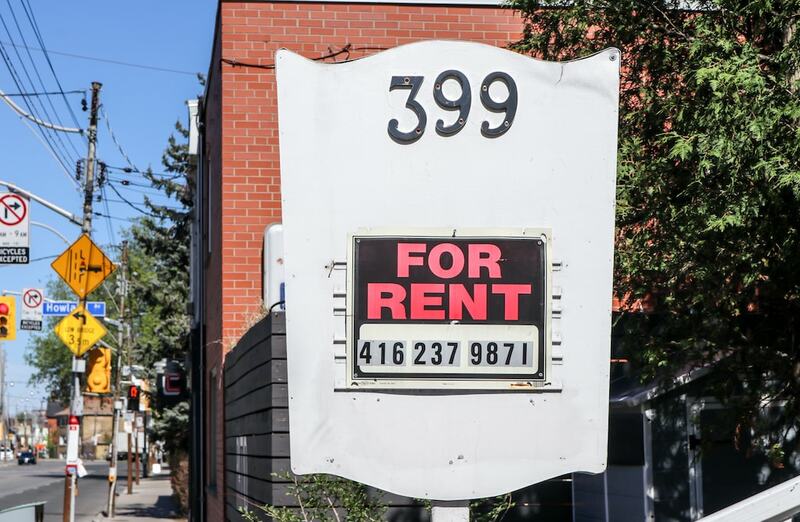 “What we are seeing now is that it’s taking anywhere from four to six months for a landlord to terminate the tenancy and recover possession of the rental unit,” she says. Buying a house ain’t cheap, nor is saving for a downpayment, so you’ll want to ensure that you can get a return on your first investment property, and it starts with picking the right rental unit. Naji says to follow the money — wherever there’s construction for a master-planned community or an injection of government funding into infrastructure, there will be a demand for rental housing. Highlights of a specific neighbourhood — proximity to transit, a family-friendly community, lots of amenities — will entice tenants over more space. As Naji explains, buying the largest rental unit on the market might allow you to charge slightly higher rent, but it will cost you more to purchase. Instead of focusing on big bedrooms and living areas, Naji says to look for smaller spaces with appealing characteristics. Tenants are feature focused; they’ll value better appliances or a shorter commute time over a bigger kitchen. A semi-detached could bring you in the same amount of money as a fully-detached home with the same number of bedrooms, but will cost you less to buy. “It might be a little bit smaller, but your cost of acquisition is less, and the numbers are going the be in your favour because your rent is going to be pretty much the same with a lower purchase price,” he says. When pricing your rental unit, Naji says to compare current neighbourhood rental prices with seasonal demand to determine the right price. With a tenant living on your property, you’ll get to know all of their quirks very quickly. Some landlords aren’t prepared for the extra smells, sounds and interesting habits on display that go hand in hand with having a tenant. “Landlords in a smaller situation, were they’re renting part of their home, they become consumed with tenant behaviour, like if the tenant has an overnight guest and, ‘They didn’t tell me’, ‘The tenant’s taking too many showers’, or ‘The tenant’s leaving the lights on’, or ‘They brought in a pet and I didn’t approve a pet’— issues like that, small-living landlords are unprepared for,” says Wankiewicz. The landlord-tenant relationship can sometimes be a rocky one. Wankiewicz emphasizes that in addition to good communication and responding to issues quickly, landlords need to conduct a comprehensive screening process to find a trustworthy tenant. She advises that going off face-value alone won’t provide enough information about a person. Using a rental application, speaking to references and checking a tenant applicant’s credit score are good methods to finding a quality tenant. “So many times the small landlord will just make their decision on how their tenant appears, but they need to dig in and check with previous landlords, not just where they’re living now, but where they lived prior to that, because that’s where they’re going to get accurate information about what their behaviour was like,” says Wankiewicz. Naji likes to take a personal approach to rental applications; he strongly recommends meeting prospective tenants in-person not only to check for that gut-feeling, but to get to know the person. Economic researcher Will Dunning has a problem with the mortgage stress test the federal government imposed about a year ago. Last January, the Canadian government expanded its standard stress testing, which requires borrowers to qualify at a higher mortgage rate than they are signing on for. Before that, it only applied to insured mortgages. Mortgage insurance is needed if a homebuyer can’t muster a downpayment of 20 percent or more, so previously, those who could managed to sidestep stress testing. Dunning, who describes himself online as an “iconoclastic economist” outlines what he says are four significantly harmful shortcomings of the stress testing. “The tests fail to consider the income growth that will occur by the time mortgages are renewed” — that’s Dunning’s first issue, as outlined in his latest study. The point of the stress test is to makes sure borrowers are up to the task of making higher mortgage payments upon renewal, typically five years from signing on. So federally regulated lenders now need to make sure all borrowers can afford to pay the higher of the Bank of Canada’s qualifying rate or the contract rate plus two percentage points. Problem is, this method ignores rising incomes. Borrowers’ ability to make interest payments in five years is based on incomes today. Dunning notes that over the past five years, incomes have grown a cumulative 11.6 percent on average. “They have negative consequences for the broader economy,” Dunning says, summing up his second issue. BMO suggests that the pace of residential construction has been slowing down as a the mortgage stress test has taken a bite out of homebuying activity. 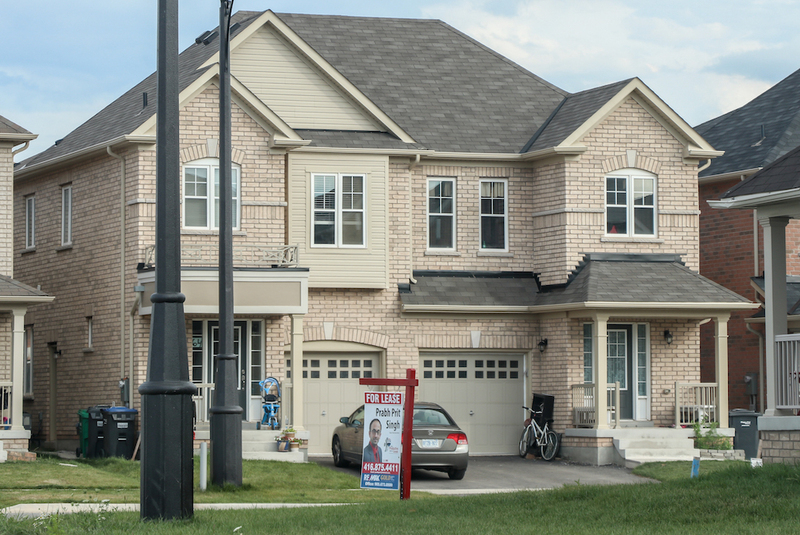 In fact, Canadian home sales were down 4 percent in January on a year-over-year basis, according to the Canadian Real Estate Association, which chalked up at least some of the decline to the stress tests. 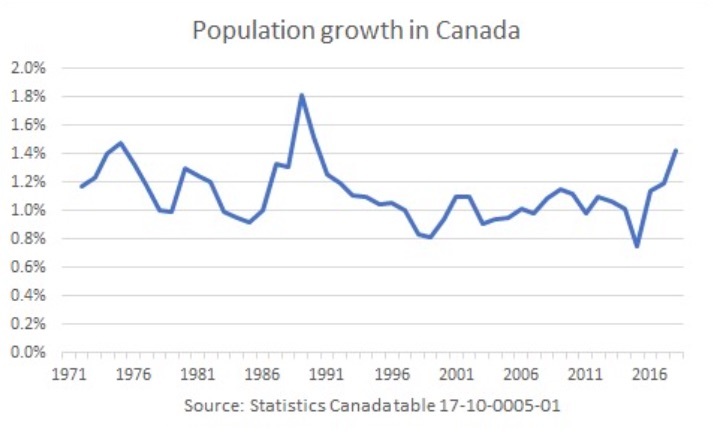 Dunning estimates that Canada will lose 90,000 to 100,000 jobs when the labour market fully adjusts to the slowdown in starts. “They prevent Canadians from pursuing their long-term best interests,” says Dunning as his third strike against the current test. After all, a mortgage is really “forced savings,” he says. Sure, in the short term a roughly 60-percent portion of mortgage payments are going towards interest, and initially renting is usually the cheaper option. Back to that slowdown in housing construction. Job losses aren’t the only negative consequence of less home construction taking place. “Suppressed production of new housing will worsen the shortages that have developed,” Dunning warns. Dunning says construction needs to speed up, not slow down, to meet demand. The country’s population has been increasing at a rate of 1.25 percent annually for the past three years, above the long-run average of 1.1 percent. We’re entering the home stretch of 2018, when you can actually say, “See you next year!” to someone you’ll see in just a few weeks. It’s a time to look ahead, to make new plans, to achieve new dreams. And if those dreams include buying your own home, you should keep an eye on the ever-changing tides of the housing market. Now, markets are like the weather: You can’t entirely predict how they will act, but you canget a sense of the forces that will push things in one direction or another. 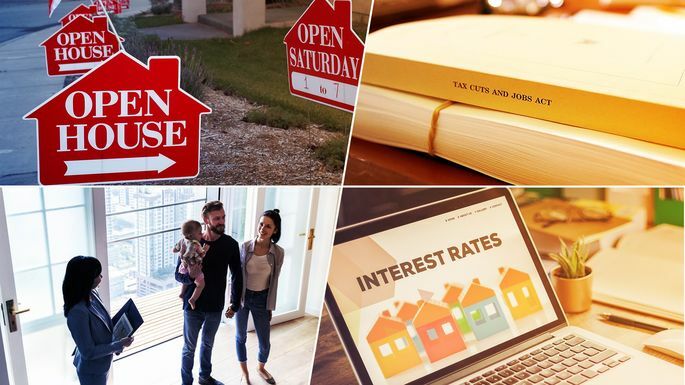 The realtor.com® economic research team analyzed a wealth of housing data to come up with a forecast of what 2019 might hold for home buyers and sellers—and it looks like both groups are going to be facing some challenges. Here are the top four takeaways. For more information, see the full realtor.com® 2019 forecast. We’ve been chronicling the super-tight inventory of homes for sale for several years now. Yes, homes have been hitting the market, but not enough to keep up with the demand. Nationwide, inventory actually hit its lowest level in recorded history last winter, but this year it finally started to recover. We’re expecting to see that inventory growth continue into next year, but not at a blockbuster rate—less than 7%. While this is welcome news for buyers who’ve been sidelined, sellers must confront a new reality. “More inventory for sellers means it’s not going to be as easy as it has been in past years—it means they will have to think about the competition,” says Danielle Hale, realtor.com‘s chief economist. Although next year’s inventory growth is expected to be modest nationwide, pricier markets will tell a different story. In these markets—which typically have strong economies (read: high-paying jobs)—most of the expected inventory growth will come from listings of luxury homes. We’re expecting to see the biggest increases in high-end inventory in the metro areas of San Jose, CA; Seattle, WA; Worcester, MA; Boston, MA; and Nashville, TN. All of those metro markets, which may include neighboring towns, could see double-digit gains in inventory in 2019. It’s no secret that home sellers have been sitting pretty for the past several years. But is the tide about to change in buyers’ favor? Hale predicts that mortgage rates, now hovering around 5%, will reach around 5.5% by the end of 2019. That means the monthly mortgage payment on a typical home listing will be about 8% higher next year, she notes. Meanwhile, incomes are only growing about 3% on average. That double whammy is toughest on first-time home buyers, who tend to borrow the most heavily and who don’t have any equity in a current home to draw on. Just a few years ago, millennials were the new kids on the block, just barely old enough to buy their own homes. Now they’re the biggest generational group of home buyers, accounting for 45% of mortgages (compared with 17% for baby boomers and 37% for Gen Xers). Some of them are even moving on up from their starter homes. As we mentioned above, things will be tough for those first-time buyers. But the slightly older move-up buyers will reap the benefits of both their home equity and the increased choices in the market. And regardless of whether they’re part of that younger set starting a career or the older set that’s starting a family, “they’re going to be more price-conscious than any other generation,” says Ali Wolf, director of economic research at Meyers Research. That’s because they typically are still carrying student debt and want to be able to spend on experiences, like travel. That takes away from the funds they can put aside for a down payment, or a monthly mortgage payment. “They want to maintain a certain lifestyle, but they still see the value in owning a home,” Wolf says. So they might compromise on distance from an urban center, or certain amenities, or space—70% of millennial homeowners own a residence that’s less than 2,000 square feet, Wolf notes. There’s plenty of time to expand those portfolios, though, as millennials’ housing reign is just beginning: This group is likely to make up the largest share of home buyers for the next decade. The year 2020 is projected to be the peak for millennial home buying—the bulk of them will be age 30. At the time of last year’s forecast, the GOP’s proposed revision of the tax code was still being batted around Congress. While there was talk that it might discourage people from buying a home, no one really knew how it might affect the real-estate market. This year … well, we still don’t really know. That’s because most taxpayers won’t be filing taxes under the new law until April 2019. And while some people might have a savvy tax adviser giving them a better idea of what’s in store, for many, the reality check will come in the form of a bigger tax bill—or a bigger refund. Renters are likely to have lower tax bills, but might not be tempted to buy while affordability remains a challenge, and with the new, increased standard deduction reducing the appeal of the homeowner’s mortgage-interest deduction. Sellers of those pricier homes will also take a hit, as buyers anticipating bigger tax bills won’t be as willing to pony up for a high list price. The biggest change resulting from the new tax law, Hanson predicts, will be in mortgages, since people will be less inclined to take out large mortgages. “If anyone is going to be upset about the tax plan, it’ll be mortgage bankers,” he says. Cicely Wedgeworth is the managing editor of realtor.com. 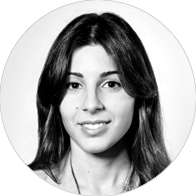 She has worked as a writer and editor at Yahoo, the Los Angeles Times, and Newsday. Implementing a successful property management system is vital to the longevity, health and overall profitability of your growing portfolio of investment properties. Property management systems come in all different shapes and sizes, and can be completely tailored to your specific portfolio needs and wants. Rather than examining these different systems, which could take up an entire magazine, I want to explore three ways to increase your ROI by taking advantage of professional property management. In my view, hiring a professional property manager is very similar to hiring an employee. You wouldn’t give a new hire a vague description of their tasks and responsibilities and then let them manage their job any way they want. You would give your employee a clear definition of their role and show them the kind of results you expect. When will it be done? This may seem like a lot of work when you’re just getting started, but completing the above exercise will eliminate the roadblocks, misunderstandings and accidents associated with starting a new professional relationship, and will ultimately improve your ROI. A professional PM will usually have all these roles pre-defined in their contract, but that doesn’t mean they can’t be challenged or negotiated to better suit your needs. Communicate above and beyond to maximize your results. This can be a hot topic depending on who you talk to – some investors dismiss the idea of hiring a super outright, and some absolutely can’t operate without theirs. I believe that if handled correctly, using a superintendent can be an effective management strategy for a medium to large building, especially if done in tandem with professional property management. The greatest advantage of superintendents is that they live on site. 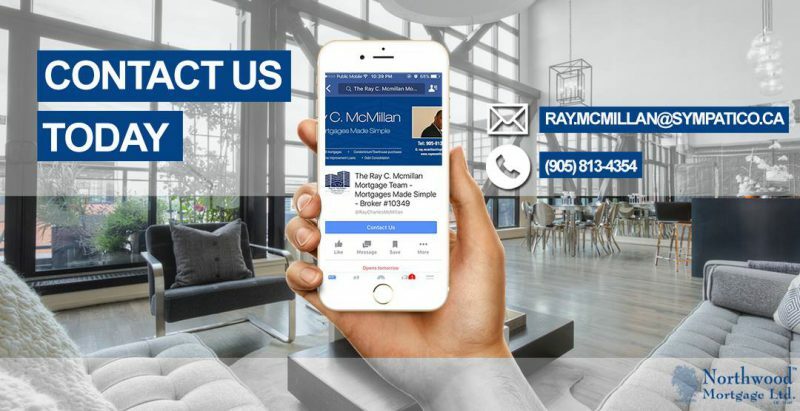 This is extremely convenient when small issues arise that need immediate attention, like a spill in the hallway that needs cleaning or a tenant who needs to give you cash. For small, more regular tasks like mopping hallways and shovelling walkways, a super is usually the most cost-effective and efficient method. In my experience, waiting for your PM to deal with small items can take too long and not be as cost-effective. I prefer my super to have a smaller role, meaning my PM handles all maintenance calls from tenants, major renovations, rent collection, tenant placement and regular reporting to me. It’s important to ensure the super is not impeding the job of your PM and vice versa. Each have their roles and should be complementary to each other. The PM is in charge, and the super is there to assist when needed, along with tending to a short list of responsibilities. This PM-plus-super system frees up more time for me to focus on strategy, grow my portfolio and create value in my current assets. My accountant also appreciates the efficient system, as we save a fair amount of money on minor property maintenance with a super in place. There is no way to avoid the cost of property management. Either you are going to engage a professional to do it for you and pay for it out of the property’s cash flow, or you will handle the property management all on your own. You may think this will save you money or make your property more profitable. If you have spare time and energy and want to learn the business, I would encourage you to take on the PM responsibilities. However, if you’re busy with your career, family and lifestyle, like many of us are, by taking on the day-to-day management of your properties, you’re doing yourself a massive disservice. Whether you pay a professional PM or not, it’s still going to cost you the same or more. By taking on the PM role, you’re going spend your own time, energy and gasoline and take away quality time for other activities you could be pursuing, like spending time with your family, getting some exercise (mowing the lawn doesn’t count), reading a book or sleeping. This may not sound like traditional ROI, but since most investors get into real estate to improve their lives, not just their bank balances, finding a good property manager will provide these other, highly attractive returns. You cannot avoid the cost of property management. You either pay in dollars or you pay in your own time and energy. Either way, it must be done properly. You have a capital gain when you sell, or are considered to have sold, what the Canada Revenue Agency deems “capital property” (including securities in the form of shares and stocks as well as real estate) for more than you paid for it (the adjusted cost base) less any legitimate expenses associated with its sale. Contrary to popular belief, capital gains are not taxed at your marginal tax rate. Only half (50%) of the capital gain on any given sale is taxed all at your marginal tax rate (which varies by province). On a capital gain of $50,000 for instance, only half of that, or $25,000, would be taxable. For a Canadian in a 33% tax bracket for example, a $25,000 taxable capital gain would result in $8,250 taxes owing. The remaining $41,750 is the investors’ to keep. The CRA offers step-by-step instructions on how to calculate capital gains. Capital gains can be offset with capital losses from other investments. In the case you have no taxable capital gains however, a capital loss cannot be claimed against regular income except for some small business corporations. A donation of securities to a registered charity or private foundation does not trigger a capital gain. If you sell an asset for a capital gain but do not expect to receive the money right away, you may be able to claim a reserve or defer the capital gain until a later time. If you are a farmer or a newcomer to Canada, they are special capital gains rules for you. The specifics can be found at the CRA website. A Federal Court judge has approved at least one court order that will require a British Columbia developer to turn over information to tax officials about people who bought and flipped condo units before or during construction. And several similar applications are under way, reflecting the federal government’s efforts to crack down on potential tax cheating in the presale market. A July 25 Federal Court order requires the developers of the Residences at West, a Vancouver condo project at 1738 Manitoba St., to provide the Canada Revenue Agency (CRA) with documents related to presale flips, also known as assignments, in the building, including proof of payments and correspondence between the developers and people who buy the assignments. That order followed a June 29 application from the federal government. In September, the Minister of National Revenue applied for court orders related to One Pacific, a Concord Pacific project, and Telus Gardens, a downtown project developed by Westbank Corp. Both developers said they would comply with the request for documents. “Customer information is protected by privacy laws and is not at the developer’s liberty to disclose unless ordered by the Court,” Matt Meehan, senior vice-president of planning at Concord Pacific Developments Inc., said in an e-mail. In an e-mailed statement, Westbank said it would comply with the minister’s application. The CRA is investigating potential tax cheating in the presale market. Developers presell units in projects to obtain bank financing. Those sales agreements can be “assigned,” or flipped, to somebody else before the building is finished. A unit may be flipped several times before a project is completed. But only the transfer of legal title from the developer to the final purchaser is registered with the B.C. land title office. That means the CRA does not know the identities of any buyer but the final one, and has no way to check whether the others have paid applicable taxes on those transactions. The provincial government last May announced new regulations designed to limit assigning: Sellers have to consent to the transfer of the contracts, and any resulting profit must go to the original seller. But those new rules apply to single-family homes, not condo presales. As the CRA heads to court to obtain data on presale buyers and sellers, some observers say the provincial government could cool speculation in the presale market – and support federal tax-enforcement efforts – by changing reporting requirements. Presale purchasers may include people who are not Canadian residents and whose profit from flipping a presale contract would be subject to a federal withholding tax, said Richard Kurland, a Vancouver immigration lawyer. He used the example of a person from Iran who buys a presale contract for $100,000 and sells it for $125,000 a month later. Under the Income Tax Act, that profit – because it went to someone who is not a tax resident of Canada – would likely be subject to a 25 per cent withholding tax, he said. “If nobody knows that you’re from Iran and not a tax resident, and nobody withholds the money, you just walked off with $6,000 tax-free,” he said. If information on buyers’ identities were routinely provided, the agency could more readily check to determine if, for example, anyone was claiming the principal-residence exemption on more than one property, Mr. Kurland said. Developers support the CRA’s goals, but have to take privacy regulations into account, said Anne McMullin, president of the Urban Development Institute. “It’s not the developers not wanting to hand over information, it’s, ‘Let’s do this safely,’ because of privacy laws,” Ms. McMullin said. The NDP, which came to power after the May election, had said while in opposition that the Liberals were not doing enough to curb speculation in B.C. real estate. In its election campaign platform, the NDP promised to set up a multi-agency task force to fight tax fraud and money laundering in the B.C. real estate marketplace. Finance Minister Carole James was not available for an interview. The B.C. government is working on a comprehensive housing strategy, and any policy or legislative changes will be made public once that strategy is developed, the statement added. Q: I have five rental properties in my name. Should I switch them to a numbered company? A: Hi, Travis. Incorporating a holding company to own rental properties has some advantages and disadvantages depending on the objectives you have in mind in both the short and long term. However, you should first speak with a tax accountant about any tax ramifications both personally and corporately to ensure as perfect an integration of the two systems as possible. Then speak with a legal advisor to draft up the appropriate corporate structure before making the transfer. From a tax point of view, there are two things to consider. While the transfer of real property held personally should qualify for a Section 85 election to rollover the properties at their cost base, you will want to be sure the CRA will not consider your properties to be held as “inventory”; that is property, held primarily for resale rather than rental. If so, they will not qualify for a tax-free rollover or capital gains treatment. Therefore, the transfer could trigger unexpected tax consequences. Your history of receiving rental income from the property will help you avoid this. Second, you’ll also want to understand the difference in taxation rates both inside and outside of the corporation. Recent tax changes may have made it less desirable to own passive investments inside a corporation, depending on where you live in Canada. Some advantages of incorporation include limited liability and creditor protection. However, if you are holding mortgages, most financial institutions will still require personal guarantees. Corporate directors and officers can also be held liable on default, so proper insurance protections for these instances is critical. From a retirement planning point of view, incorporation may provide more flexibility as to when income is taken as dividends. It could help you to avoid personal taxes or spikes into the next tax bracket, and benefit from the recovery of refundable taxes in the corporation. Consider also that there will be costs for setting up and annual reporting of the holding company. Transferring the properties from the taxpayer to a holding company may have tax consequences, other than income taxes. If your province has a land transfer tax (or equivalent), you may have to pay the land transfer tax when the properties are transferred. 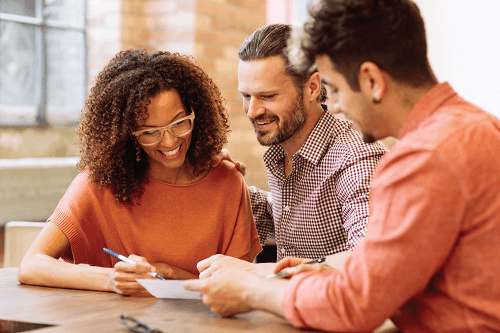 The bottom line is this: you’ll want to be thoughtful about the transfer, and you’ll want to match your investment objectives and desired tax outcomes as closely as possible.